A total of 343 of the teens and young adults who were followed -- or one out of every 660 young people -- developed an episode of psychosis in the few months after starting on a stimulant. The risk for this rare but serious side effect was twice as high -- 0.21% -- for those taking amphetamine, compared to 0.1% for those taking methylphenidate, according to the results published Wednesday in the New England Journal of Medicine. "We've seen cases of people coming in without much of a psychiatric history who are developing this sort of first episode of psychosis in the setting of stimulant use, most commonly Adderall," said Dr. Lauren Moran, assistant professor at Harvard Medical School, practicing psychiatrist at McLean Hospital, and lead author of the study. Moran said her observations caring for young people experiencing psychosis prompted the research. ADHD is a developmental disorder, and its symptoms include inattention, hyperactivity, and restlessness or impulsivity that is more severe, frequent or debilitating than normal. Stimulants have been shown to be effective in controlling these symptoms. Since 2007 the US Food and Drug Administration has required manufacturers to add a warning to drug labels, stating "stimulants may cause treatment-emergent psychotic or manic symptoms in patients with no prior history." 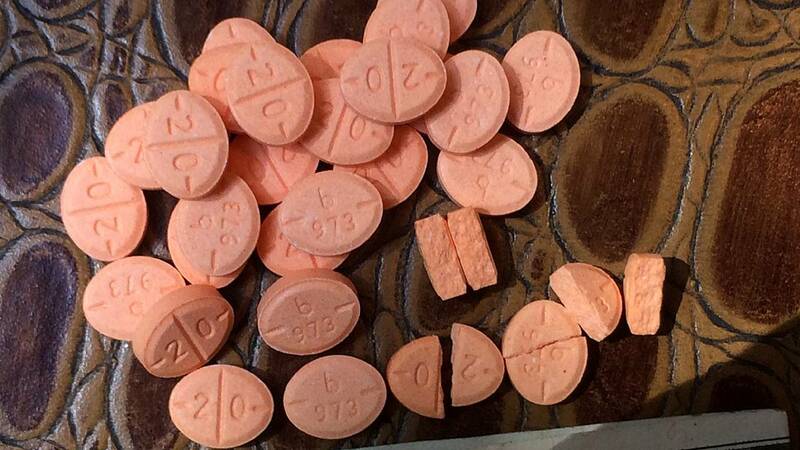 "There are subtle differences in the way Adderall and Ritalin affect dopamine systems in the brain," Moran said. Both stimulants work through dopamine pathways in the brain, but Adderall is more likely to cause a release of dopamine, whereas Ritalin is more likely to block the re-uptake, allowing it to linger. The surge of dopamine during a psychotic episode most closely mimics that seen after stimulant use like Adderall, which may explain some of the findings, Moran added. Dr. Rebecca Baum, a developmental and behavioral pediatrician at Nationwide Children's Hospital in Ohio who was not involved in the study, says she worries the results may alarm parents and scare them away from effective treatments for their children. "Any time we use a medication we are certainly thinking about what is the benefit of the medication versus the risk," said Baum, stressing that ADHD can be a debilitating condition when symptoms aren't well-controlled, and while psychosis is a real and potentially serious side effect, it is still very rare. "The vast majority of my patients have ADHD and I have the benefit of being able to treat many patients quite successfully," said Baum. "Thankfully in my practice it is not a side effect that we see very often," she added.